On a lazy Saturday morning, when you have no place to be, What do you make that the whole family will love? Personal Paleo Omelets! They take a bit of time, not cooking time, but time for everyone to make their own personal creation. I love this, because everyone gets what they want. Personal Paleo Omelets are also perfect when your kids have sleepovers, an evening meal, or when you need to feed a group for breakfast. You can cook most of these items the night before and put them out in bowls, kinda like taco night. 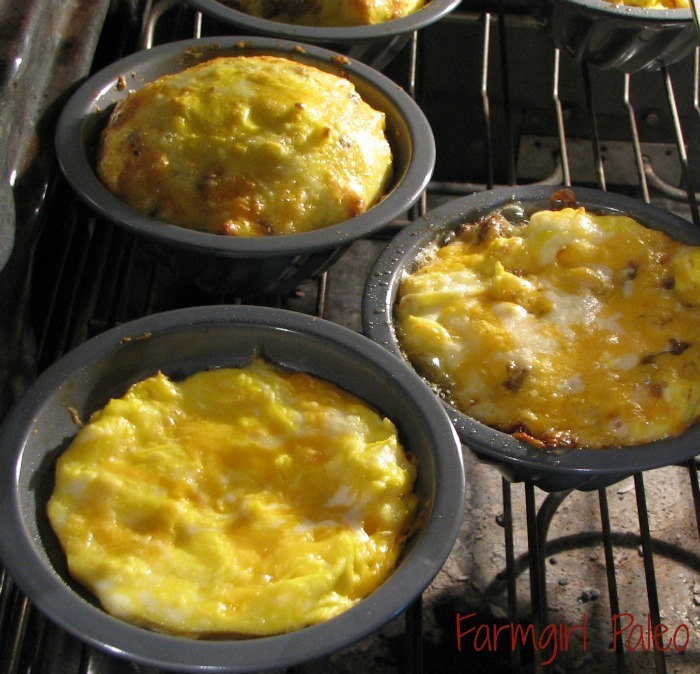 Cook your eggs about half way in a small omelet pan. Fold in the fillings of your choice and poured them in to lightly greased mini fluted tube pan. Bake omelets at 350° F for 15 to 20 minutes until they were firm, turn them over onto a plate, add the toppings of your choice. Enjoy! What do you like in/on your omelets? On a lazy Saturday morning, when you have no place to be? What do you make that the whole family will love for Sunday Brunch? Personal Paleo Omelets! They take a bit of time for everyone to make their own personal creation, but the results are well worth it. I love this, because everyone gets what they want. Fold in the fillings of your choice and poured them in to a lightly greased mini fluted tube pan. Bake omelets at 350 degrees F for 15 to 20 minutes until they were firm, turn them over onto a plate, add the toppings of your choice. Enjoy!